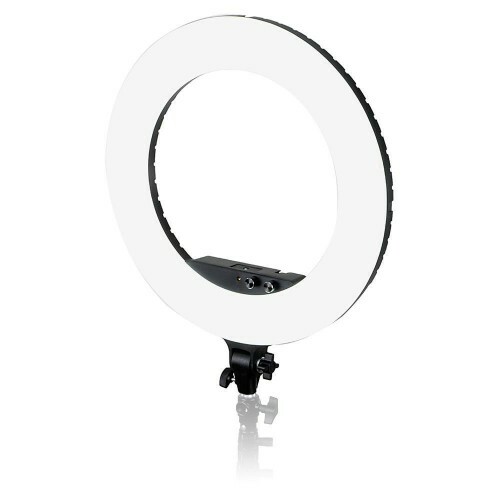 The Caruba Round Vlogger LED set has been developed for models, make-up artists and vloggers. 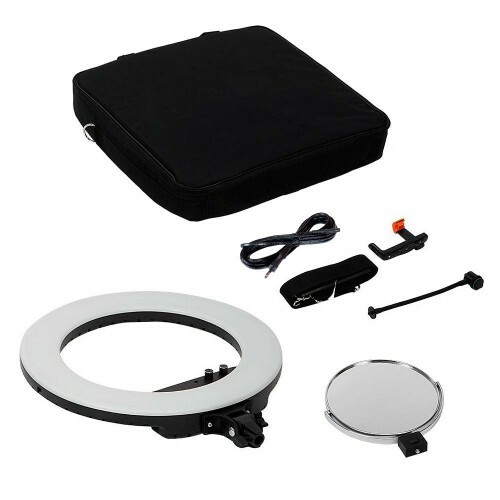 Place the included make-up mirror and phone holder in the ring lamp and you can get started. 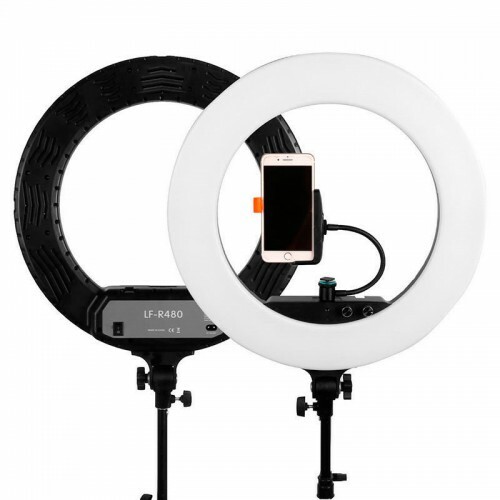 This way you have the ideal setup for making the perfect selfie or beauty vlog. The ring lamp ensures a clear and natural lighting. To attach the accessories, the LF-R480 has two 1/4 "female threaded connections and a coldshoe, with additional coldshoe connections on top and on the sides, which offers many possibilities for creative set-ups. With the spigot with tilting bracket, the LED lamp can be placed on almost every lamp stand. With a light output of 9800 lumens, the ring light provides a powerful illumination. With the two rotary knobs on the front of the LF-R480 the brightness and color temperature of the 480 LEDs can be controlled separately. You can control the color temperature continuously from 3200 to 5800K. The CRI value of 90 ensures true-to-life and vivid colors in which the lamp has an illumination angle of 120 degrees. With the power cable of 2 meters you connect the LED light directly to a power outlet. This compact and light ring lamp has a diameter of 45 centimeters. Ideal for applying make-up and making the most beautiful selfies or vlogs. The mirror is rotatable and offers an enlargement to one of the two. The shape of the lamp also provides beautiful luminous circles in the eyes.